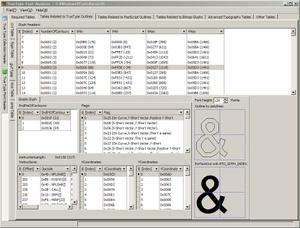 T2FAnalyzer is GUI based font analisis tool. It helps you to understand how TrueType/OpenType font files are organized. 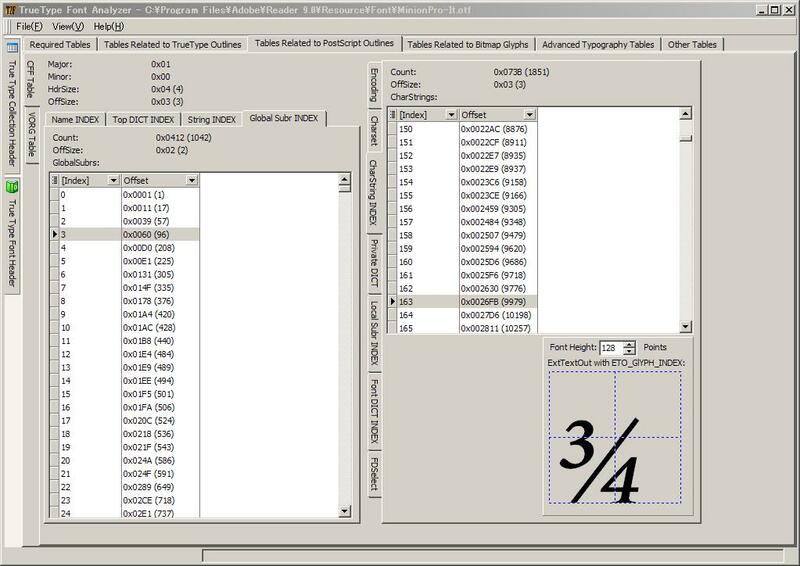 This tool has no functionality for editing font files. 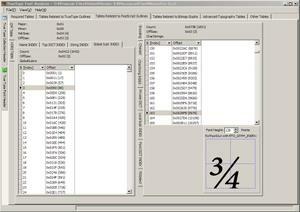 I'm just programmer, not font designer, so this tool only help u to view structure of font files. as for TrueType/OpenType font specfication, see Microsoft Typography or somewhere else. Of course, T2FAnalyzer is free software. You can download here here or SkyDrive. Run T2FAnalyzer.exe then select file ->open menu. 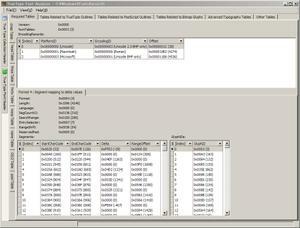 and choose a file which you wanna to analyze. thats all. Just delete folder. 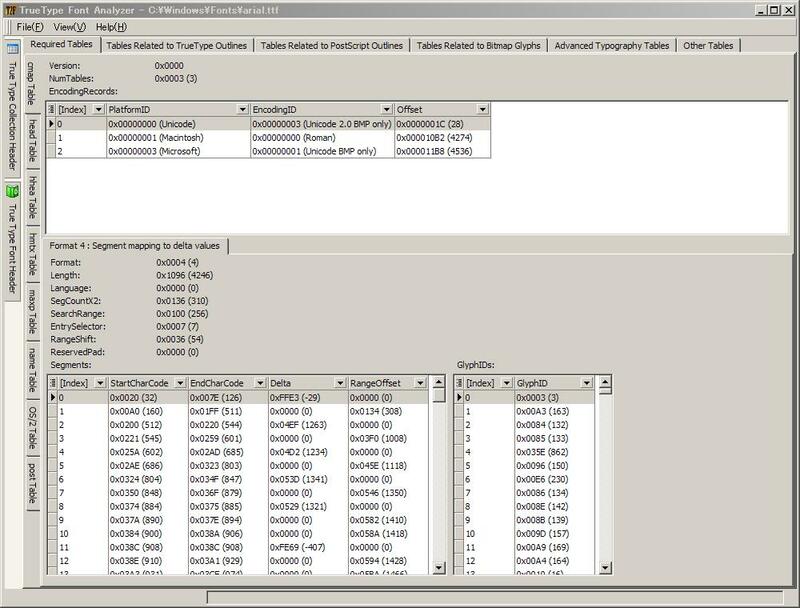 T2FAnalyzer doesn't use Windows Registry at all.